Home » How Long Can a Whole House Generator Run Continuously? Blackouts are nothing new, but some events can occur like storms that will lead to prolonged periods of power interruption. Whole house generators are big and relatively costly but will automatically switch themselves on after detecting a power interruption at the same time disconnecting you from your utility. Being massive and powerful, they are designed to comfortably supply your entire home until power is back on the grid. Power outrage may especially be hard on older adults susceptible to hyperthermia- high fever-or hypothermia- low body temperature- during temperature machines. It may also prevent them from using medical supplies that they rely upon like nebulizers. Power interruption also comes with interruption of phone, television and computer services and may result in busted pipes and spoiled food. Whether you are using a whole generator to supply power to a remote home without access to power from the grid or using it in case of such emergencies, exactly how long can the best whole house generators run continuously? Theoretically, a generator should run continuously as long as fuel keeps flowing into its tanks. The most preferred sources of energy are propane and natural gas as they are environmentally friendly and don’t become stale over time. Some generators also use gasoline or diesel but these are much more common for portable generators rather than standby models. Given that propane and natural gas burn cleanly, problems associated with stale fuel and gasoline carburetors are eliminated. Natural gas is supplied to your home by underground pipes and thus less likely to be interfered with by falling trees or power lines. As long there is an uninterrupted supply of natural gas, your generator will have access to infinite amounts of fuel and will keep running continuously. Liquid propane is mainly stored in large tanks that are either above the ground or buried underground. These tanks usually have a capacity of between 250 – 1000 gallons. The workload on the generator like powering major appliances like refrigerators and air conditioners will obviously affect the amount of fuel it consumes. Once the propane is depleted from the tanks, the generator will stop. 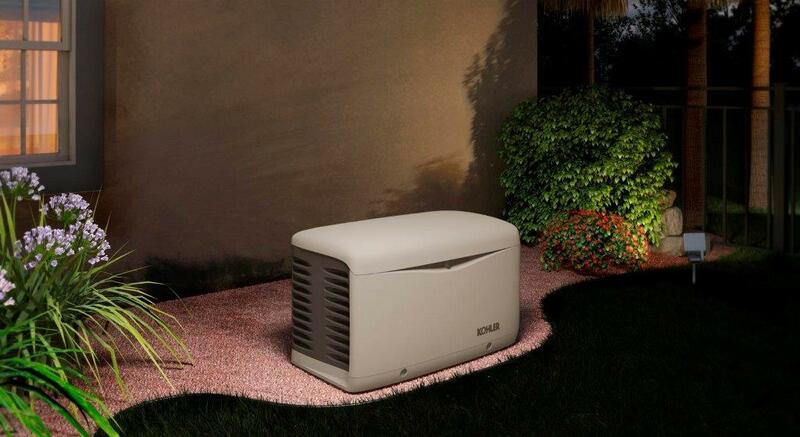 Having a bigger tank will give your generator more running time. The same applies to diesel-run generators. Oil plays a significant role in ensuring your generator runs smoothly. It serves the purpose of a lubricant to reduce friction on the engine’s moving parts and also as a coolant to keep your engine running well and prevent it from overheating. Oil breaks down over time and needs to be changed usually after running cumulatively for 50 hours which translates to a little over two days of continuous running for air-cooled engines. You should check the oil level after running the engine for long periods, and you should keep the supply of oil close by just in case your generator needs an oil change. For extended power outage, generators with engines operating at 1800 RPM are more reliable as they are fuel efficient and take long before overheating. 3600 RPM generators are cheaper than the 1800 RPM generators and work just fine but are not suitable for extended periods of usage as they overheat quickly. Due to this downside, you need to periodically switch them off to give the engine some time to cool down.